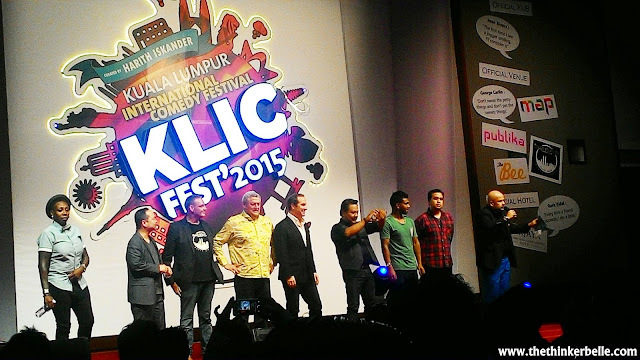 Kuala Lumpur International Comedy Festival 2015: I Laughed Like Crazy at Ong Als and the Gala Night show! Oh my gosh. 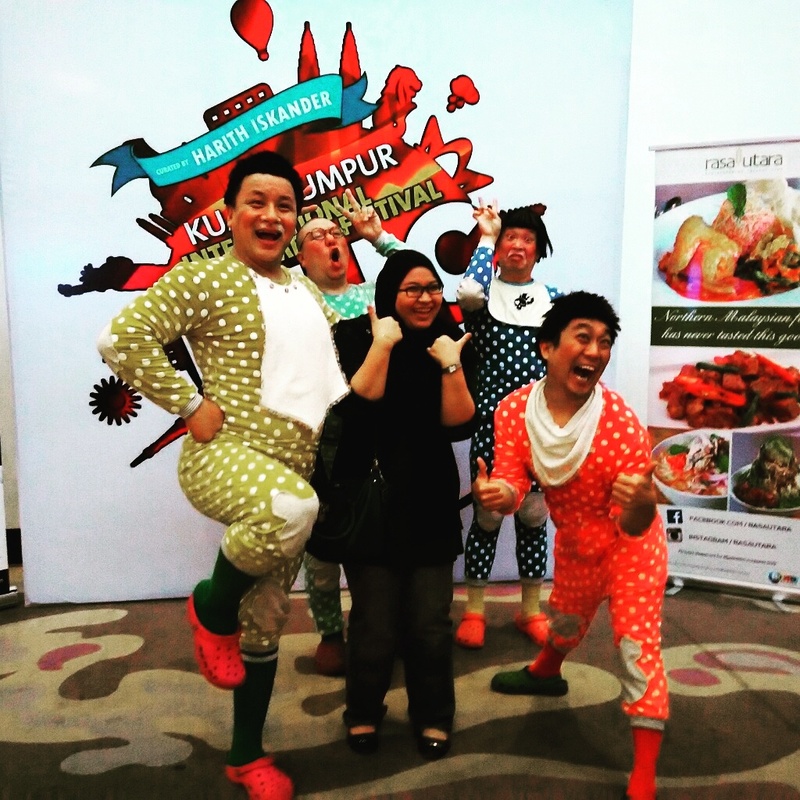 Remember when I share with you guys about the Kuala Lumpur International Comedy Festival 2015 in my post about two weeks ago? I finally got to watch two shows yesterday! I barely recover from a week long of fever and asthma (stupid haze effect) but I braced myself to go out because I didn't want to miss out on Ong Als last show here and also the Gala Night performance. I was right to force myself to go. They were all so freaking amazing! Lets starts off with Ong Als show which was at 5PM yesterday. I went alone because my friend could not make it at the last minute. While waiting for the door to open, I met an awesome new friend there and she offered me an upgraded seat because she got extra ticket and its nearer to the stage. What a luck right?! 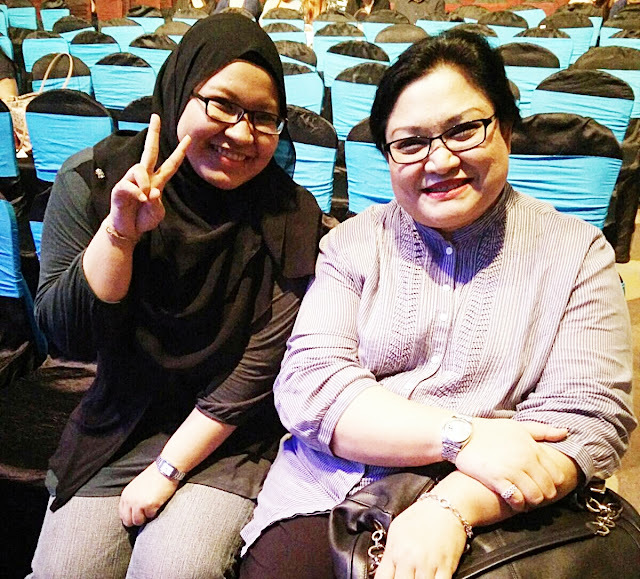 When we got seated, we noticed Adibah Noor sitting in two row in front of us (ours was the third row) so we went to say hello and of course ask for a picture and she awesomely said yes. I am a big fan of her especially her twitter rants because well, it's fun! But that's not just it, she even offered us the front row seats so just like that my seat got upgraded again. I ended up sitting right in front of the stage, which was unbelievable! 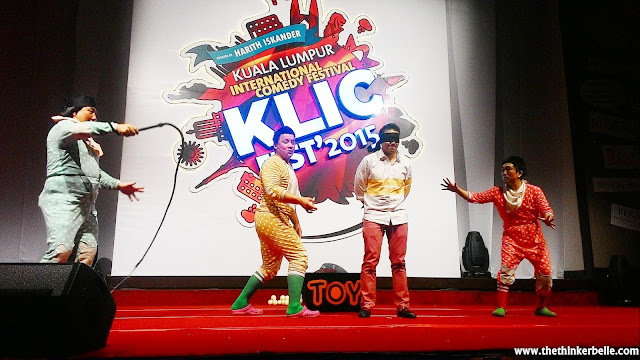 The show started with Big Baby Yellow saying hi without saying 'hi'. Since Ong Als is a babbling beat boxing comedy, they talk like babies (wear babies clothes) and uses gibberish words. Although they don't use words, they were very expressive and their humour got to us so easily. They do circus like act while each of them have their own character throughout the show. Big Baby Yellow: The leader and peace maker. Big Baby Green: Talented but always got bullied by others because he's fat. Likes to sulk. Big Baby Red: Short tempered, competitive and well act the most childish and likes to throw tantrums. Big Baby Blue: Another hot tempered one. But he beat boxing skills is crazy awesome. Ong Als interact with the audience a lot. They do body gags and their act yesterday were super hilarious! I find myself laughing and tearing up at the same time. At the end of the show, I got to get some pictures with them! Super nice and friendly. Despite the confusion on my side while taking pictures (I was rushing because people were queuing to get pictures too), I managed to say Kamsahamnida/ 고맙습니다 (thank you) and Meosisseoyo/멋있어요 (you're cool) at the end too. LOL I never tried speaking Korean before but thank goodness I didn't stutter. Haha! Later that night at 8.30PM I went for the Gala Night show which was held at the same venue as Ong Als show; the Manhattan Ballroom, Berjaya Times Square Hotel. This time the capacity got bigger and they opened up the hall even more! 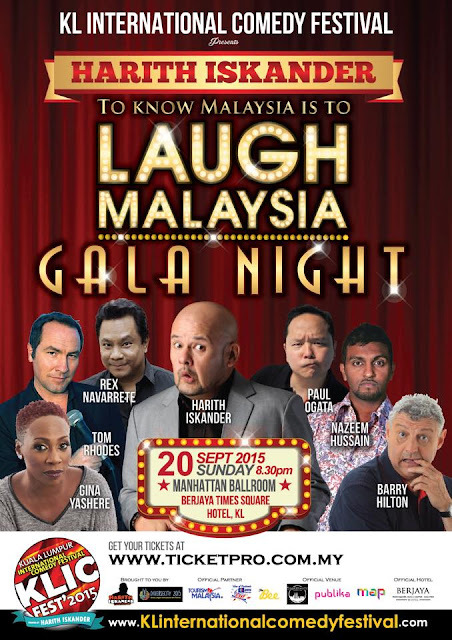 The Gala Night show featured eight big names in the stand up comedy name worldwide like Gina Yashere, Paul Ogata, Jonathan Atherton, Barry Hilton, Tom Rhodes, Rex Navarrete, Nazeem Hussain and of course none other than our own Harith Iskander. The winner of the open mic competition Micah Andreas, that were held a few days ago also got to perform in front of the big crowd for the first time! The night were even crazier! All of them were amazing and absolutely hilarious. 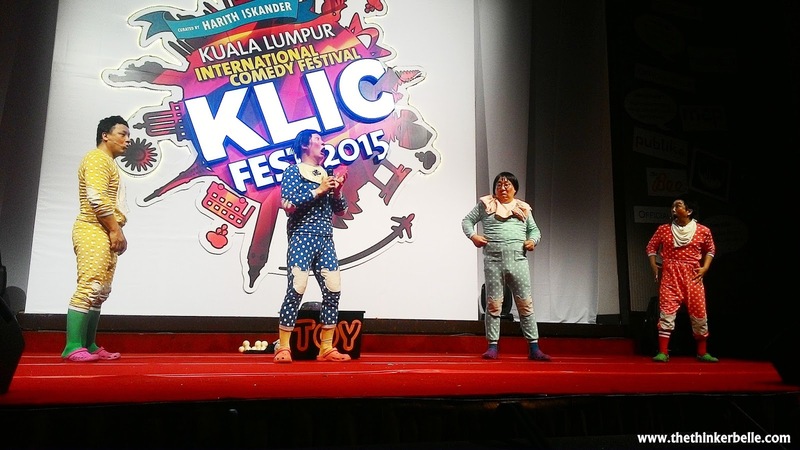 Each comedian have their own style and way to approach the audience. I'm especially in love with Gina Yashere because well, girl power FTW! But, seriously she was super hilarious. I'm literally falling off the seat because of her funny stories. I sat with Tammy during the night and she is super crazy about Paul Ogata and I can see why. He is also super hilarious. Oh gosh I really want to watch these two again! In fact, I want to watch all of them again. I also love Nazeem Hussain (Sri Lankan Muslim Australian comedian) with his relatable joke, Tom Rhodes and also Jonathan Antherton so you gotta go and see their show too. 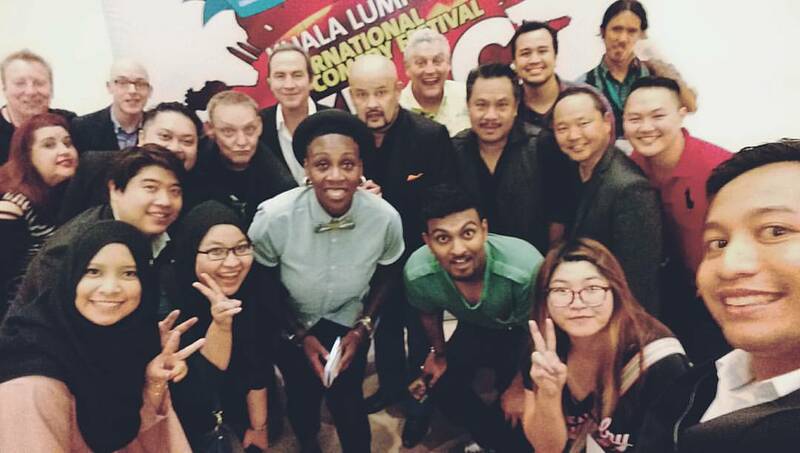 Post show, I got to join in the media interview with these comedians where they discuss about why KL International Comedy Festival 2015 should be an annual thing since it's arguably the largest comedy event ever held in Asia. These comedian have visions and aim to try to make better changes to the community through their comedy. 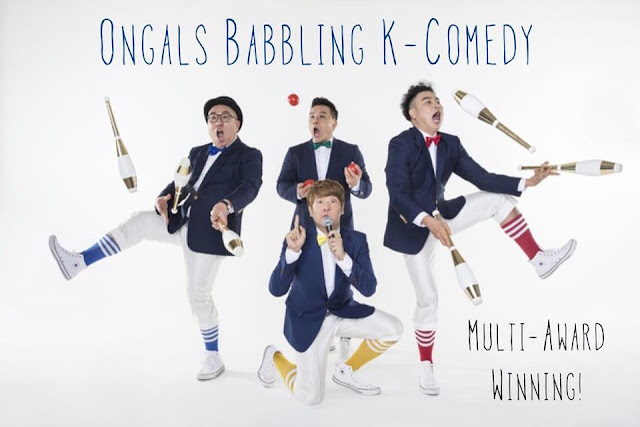 They shared that their inspiration for the comedy are gained through numerous research and interaction with the public and also from their own experience.